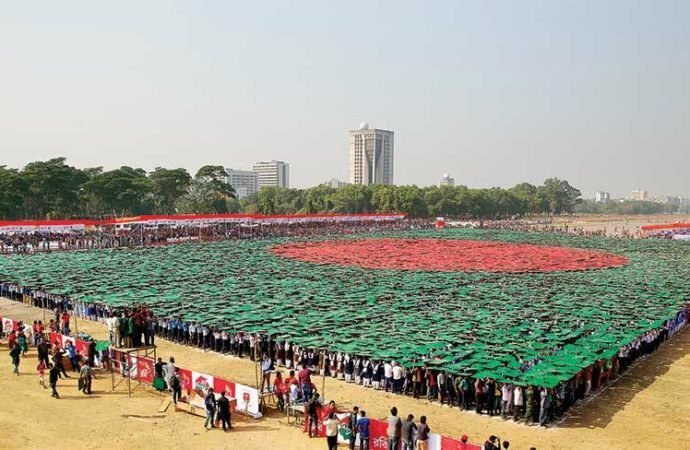 Tripura is gearing up to celebrate Bangladesh’s victory day on December 16, this year. Assistant High Commissioner of Bangladesh in Agartala, Mohammad Shakhawat Hossain confirmed that the preparations for the occasion are underway in the state. Health Minister Mohammad Nasim of Bangladesh and Tripura’s Chief Minister Manik Sarkar will be present at the occasion. The day will start with the hosting of national flag in the morning. It will be followed by placing wreaths on Bangabandhu Sheikh Mujibur Rahman’s portrait. Dignitaries like Bangladesh prime minister, president, foreign minister and state minister for foreign affairs will address the public on the occasion. A cultural program will also be hosted at the Rabindra Satabarshiki Bhaban. Cultural artists from Tripura are set to perform at the occasion. Moreover, the Bharat-Bangla Maitree Udyan at Chottakhola will be inaugurated on the same day, in commemoration of those who fought in the Liberation War of Bangladesh, which is also known as the Bangladesh war of Independence. The victory day is a national holiday in Bangladesh celebrated on December 16 every year since 1972 with great fanfare. It is to commemorate the victory of the Allied forces High Command over the Pakistani forces in the Liberation War of of Bangladesh in 1971. The Liberation War of Bangladesh has also greatly influenced cinema, literature, history lessons at school, mass media, and the arts in Bangladesh. From ceremonial meetings to speeches to military parades to fireworks the day has gradually obtained a distinct character.